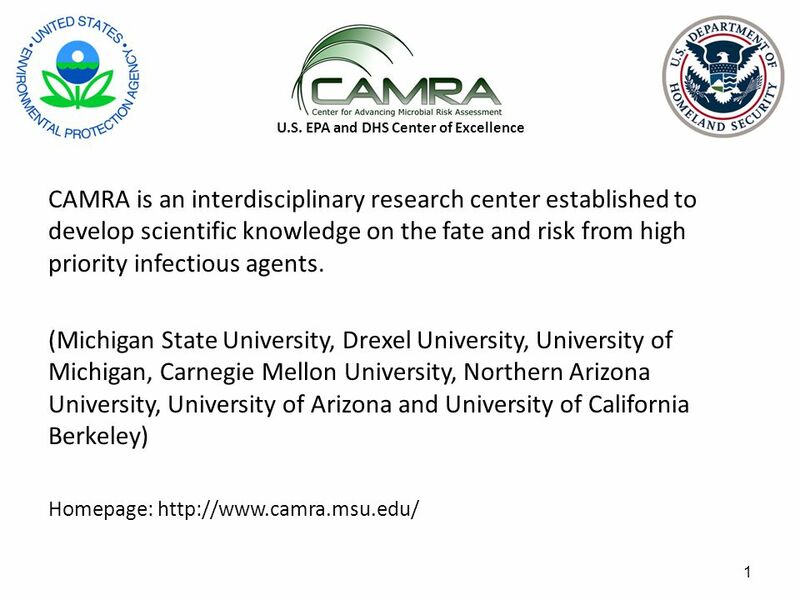 1 U.S. EPA and DHS Center of Excellence CAMRA is an interdisciplinary research center established to develop scientific knowledge on the fate and risk. 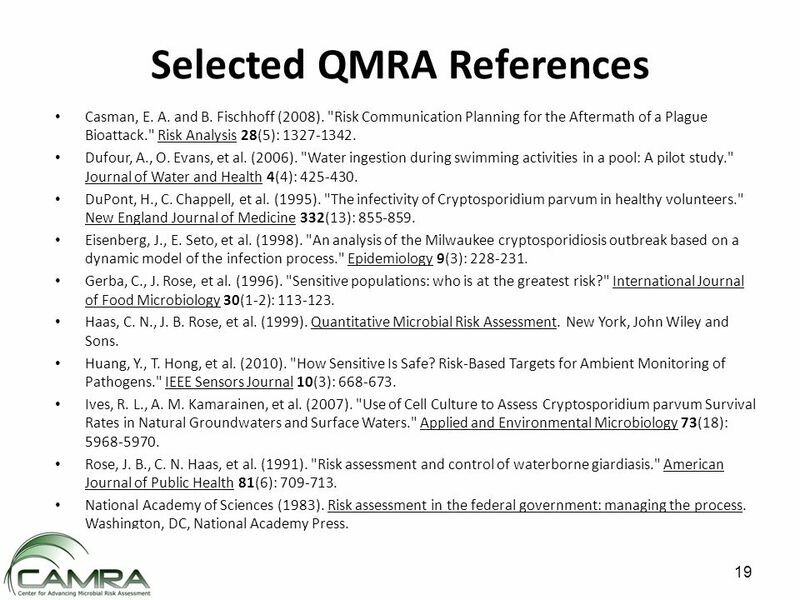 19 19 Selected QMRA References Casman, E. A. and B. Fischhoff (2008). 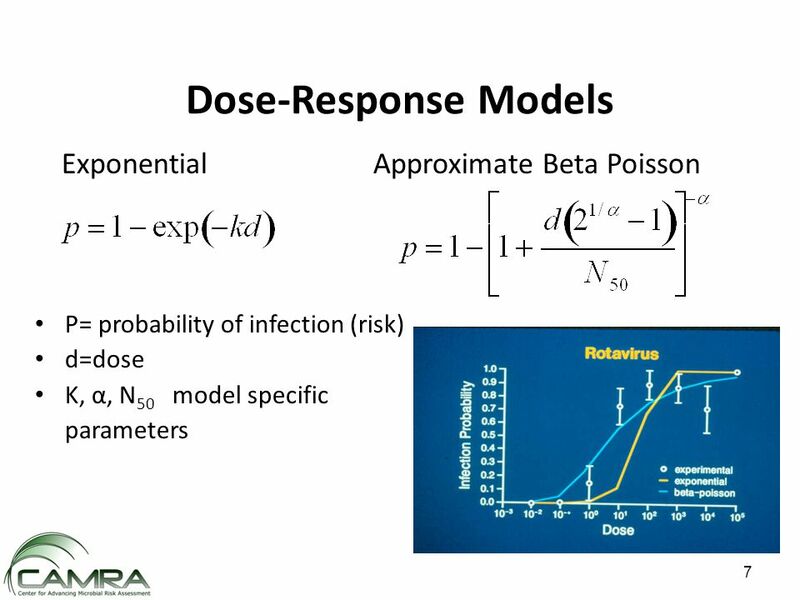 "Risk Communication Planning for the Aftermath of a Plague Bioattack." Risk Analysis 28(5): 1327-1342. Dufour, A., O. Evans, et al. (2006). "Water ingestion during swimming activities in a pool: A pilot study." Journal of Water and Health 4(4): 425-430. DuPont, H., C. Chappell, et al. (1995). 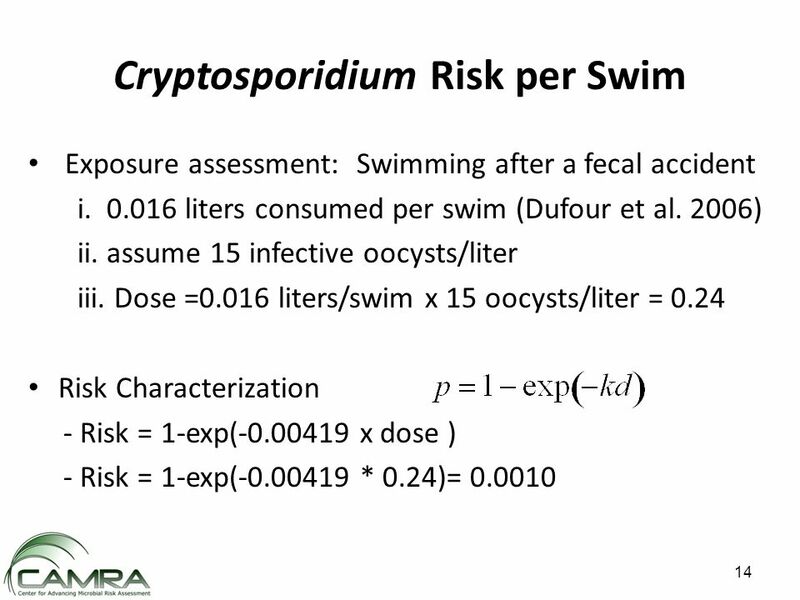 "The infectivity of Cryptosporidium parvum in healthy volunteers." New England Journal of Medicine 332(13): 855-859. Eisenberg, J., E. Seto, et al. (1998). 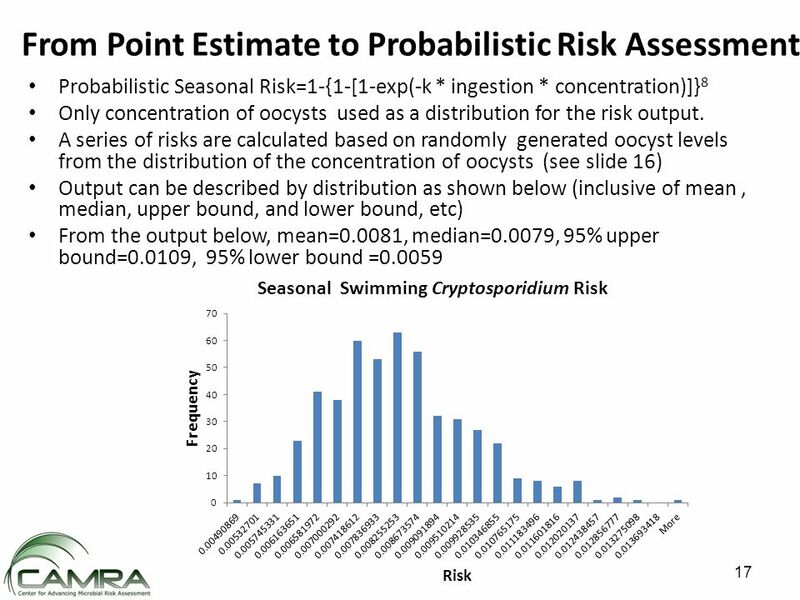 "An analysis of the Milwaukee cryptosporidiosis outbreak based on a dynamic model of the infection process." Epidemiology 9(3): 228-231. Gerba, C., J. Rose, et al. (1996). 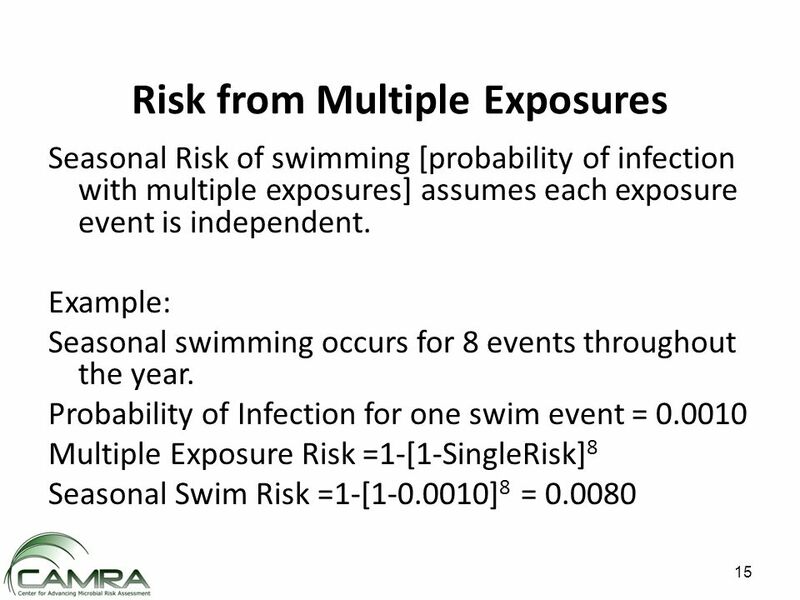 "Sensitive populations: who is at the greatest risk?" International Journal of Food Microbiology 30(1-2): 113-123. Haas, C. N., J. B. Rose, et al. (1999). 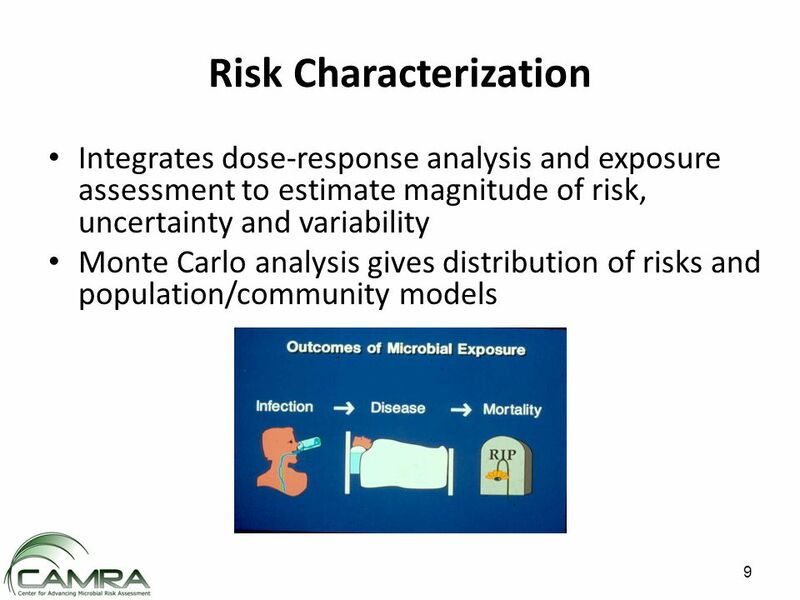 Quantitative Microbial Risk Assessment. New York, John Wiley and Sons. Huang, Y., T. Hong, et al. (2010). "How Sensitive Is Safe? 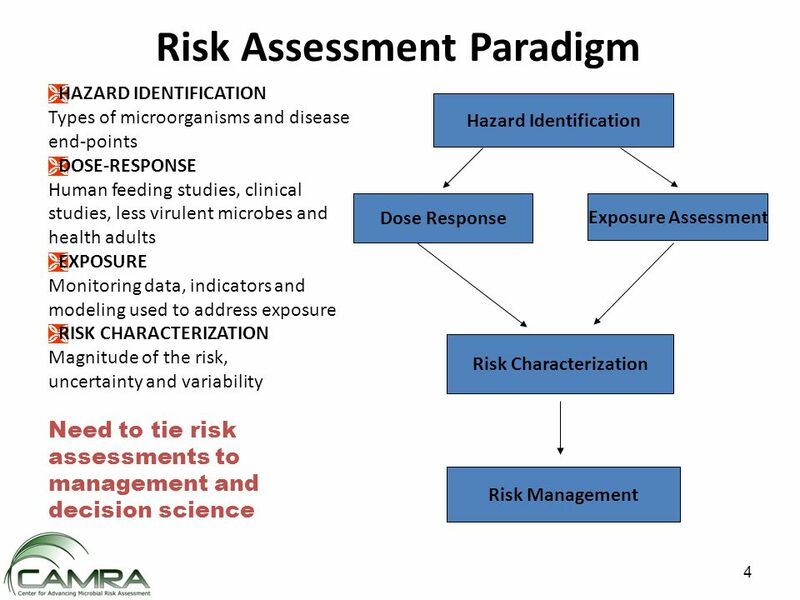 Risk-Based Targets for Ambient Monitoring of Pathogens." IEEE Sensors Journal 10(3): 668-673. Ives, R. L., A. M. Kamarainen, et al. (2007). 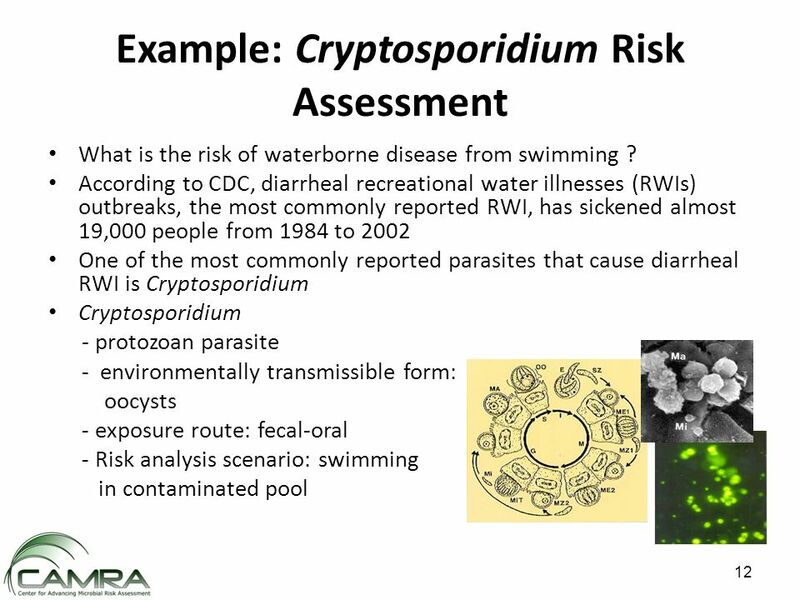 "Use of Cell Culture to Assess Cryptosporidium parvum Survival Rates in Natural Groundwaters and Surface Waters." Applied and Environmental Microbiology 73(18): 5968-5970. Rose, J. B., C. N. Haas, et al. (1991). 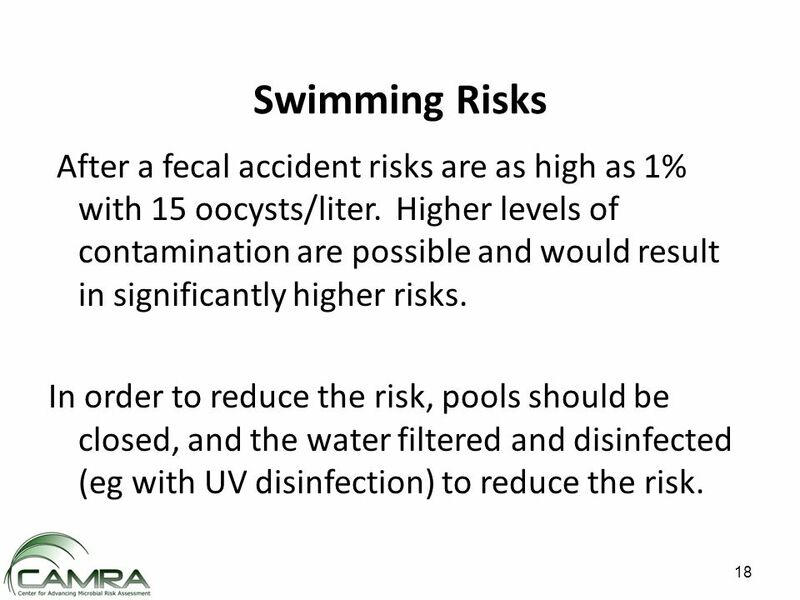 "Risk assessment and control of waterborne giardiasis." American Journal of Public Health 81(6): 709-713. National Academy of Sciences (1983). 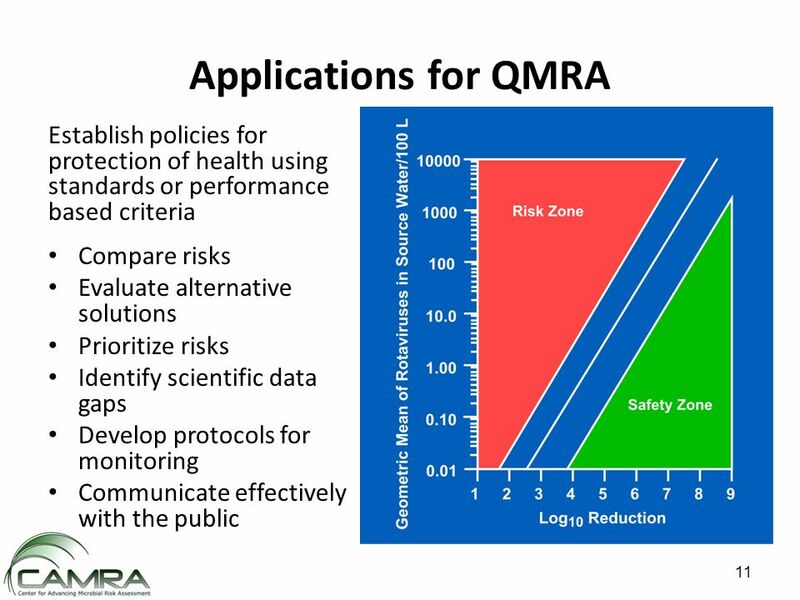 Risk assessment in the federal government: managing the process. Washington, DC, National Academy Press. 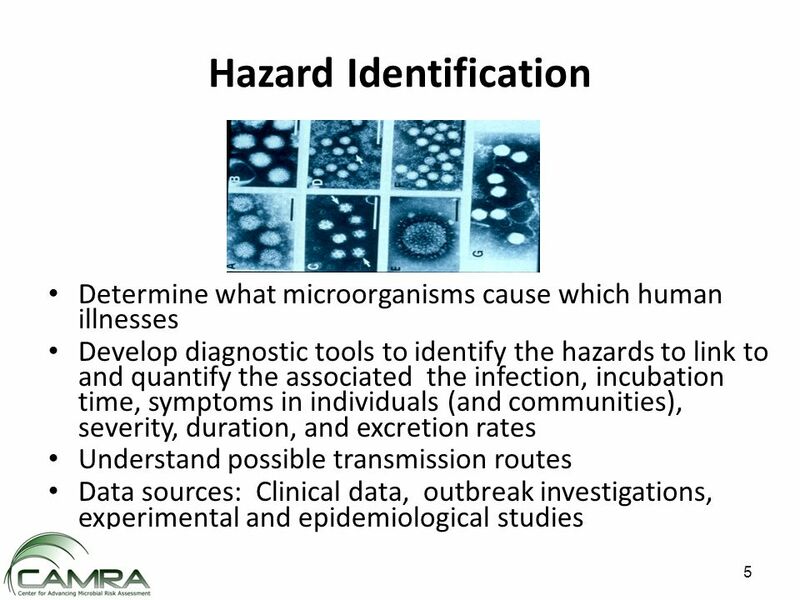 Download ppt "1 U.S. EPA and DHS Center of Excellence CAMRA is an interdisciplinary research center established to develop scientific knowledge on the fate and risk." 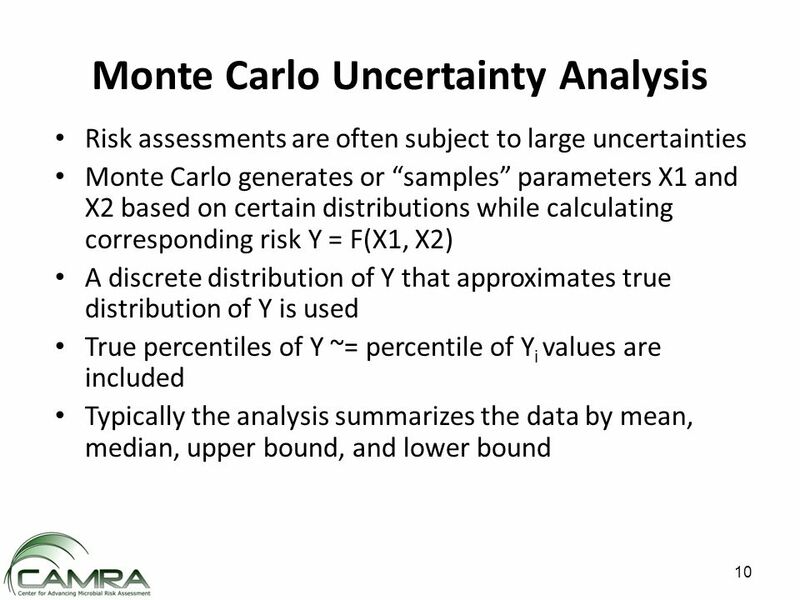 Slide 1 ILLINOIS - RAILROAD ENGINEERING Railroad Hazardous Materials Transportation Risk Analysis Under Uncertainty Xiang Liu, M. Rapik Saat and Christopher. Revisiting the Formula CTL Workgroup Contaminated Media Forum 1. Rafael Bastos (1), Paula Bevilacqua (2), Richard Gelting (2), Demétrius Viana (1), João Pimenta (1) (1) University of Viçosa, Brazil (2) US Center for. 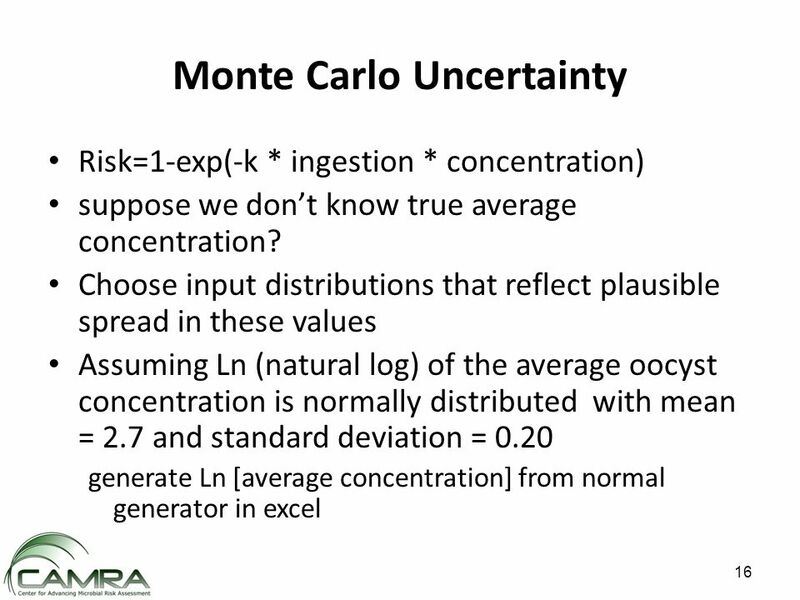 Sensitivity Analysis In deterministic analysis, single fixed values (typically, mean values) of representative samples or strength parameters or slope. Technical Sessions IV. Panel discussion Applications of the data to Risk Assessment models and regulatory decision-making III. 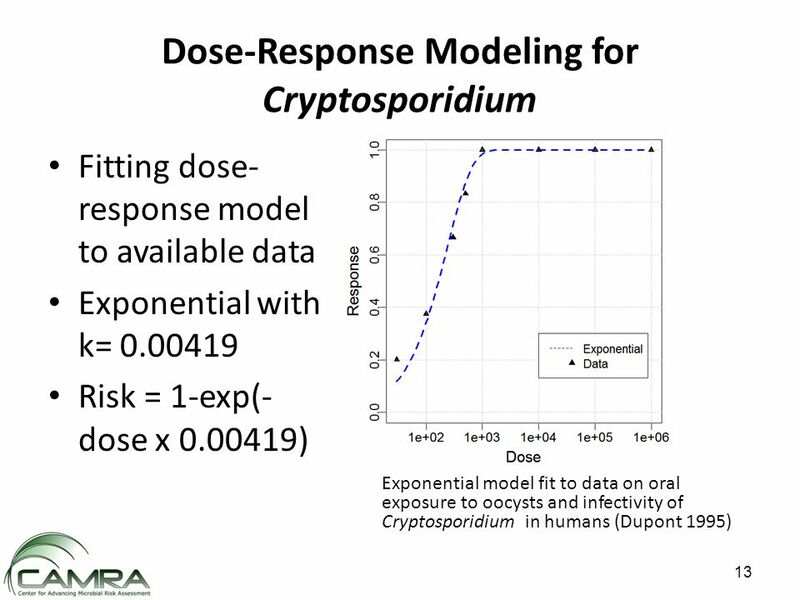 Biology of cryptosporidiosis. 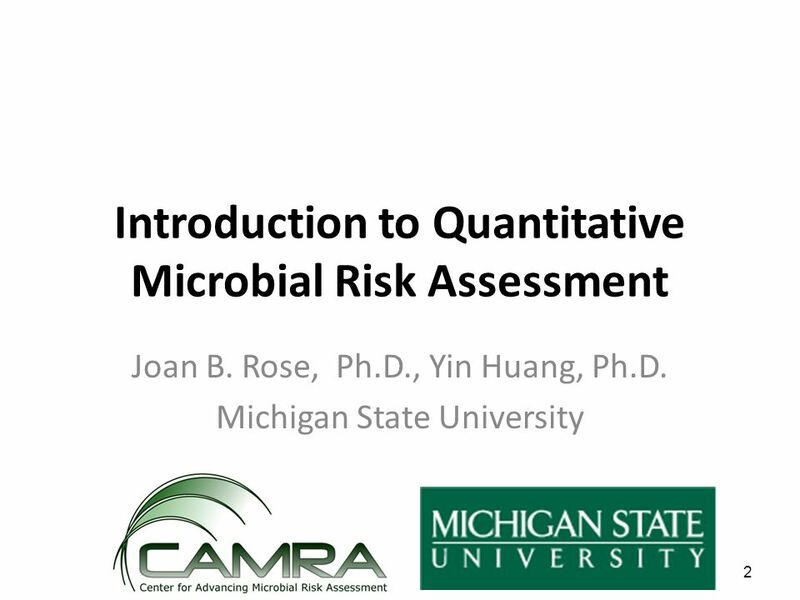 Food Safety Microbiology - February, of 27 Quantitative Risk Assessment Don Schaffner, Ph.D. Rutgers, The State University of NJ. 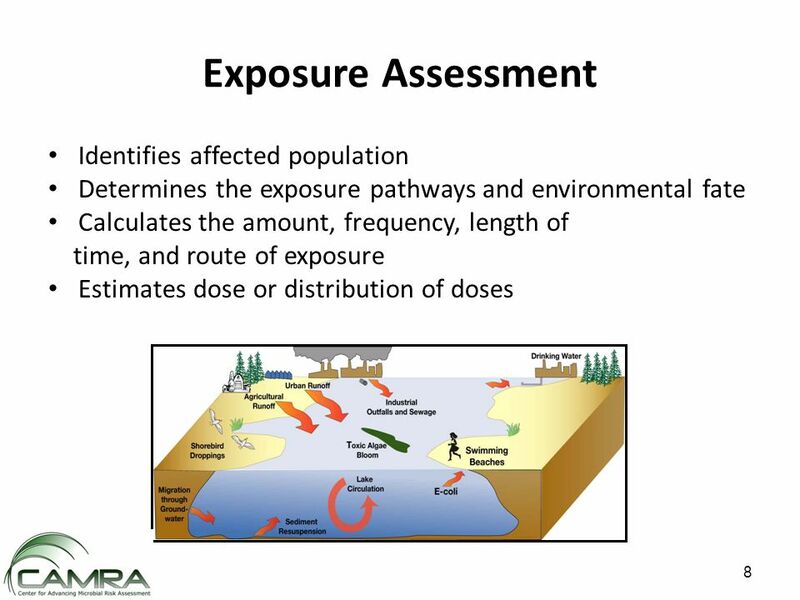 Exposure Assessment Thanks to Marc Rigas, PhD for an earlier version of this lecture Much of the materials is drawn from Paustenbach, DJ. (2000) The practice. 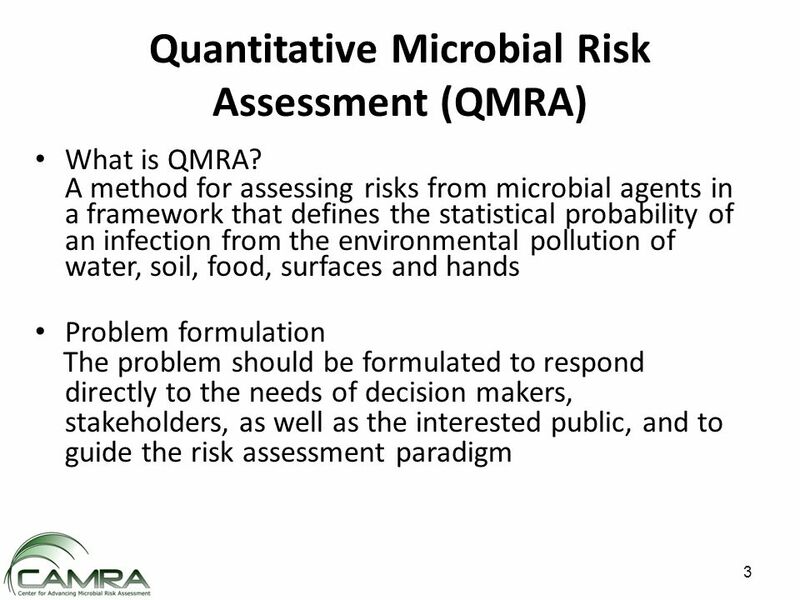 1 Quantitative Microbial Risk Assessment (QMRA) Salmonella spp. in broiler chicken Suphachai Nuanualsuwa n DVM, MPVM, PhD. Water and Infectious Disease - Waterborne Disease Global distribution of infectious disease Transmission cycles Water and infectious disease Enteric disease. Agricultural & Environmental Lab. Water quality testing II: PCR-based testing for water bacterial contaminants The Islamic University Faculty of Science. 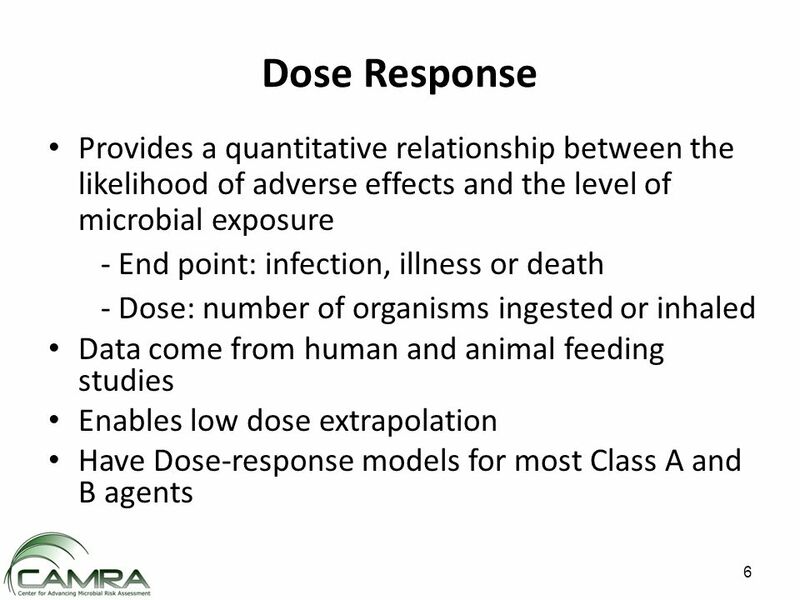 P2-78: Generic Modeling Approach for Quantitative Microbial Risk Assessment Thomas P. Oscar, USDA, ARS/1890 Center of Excellence in Poultry Food Safety.